The BLT Cart came to life through a friendly competition of challenging staff to strategize a solution for increasing school meal participation and comp growth by 5%. 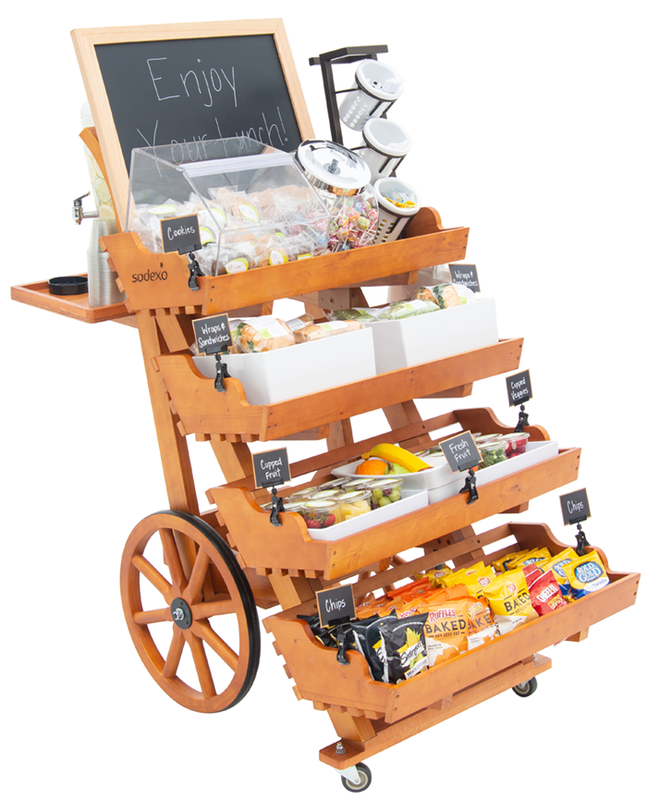 The BLT cart, which stands for Bring Lunch to the Table, went on to win the competition by wowing judges with its versatile design! 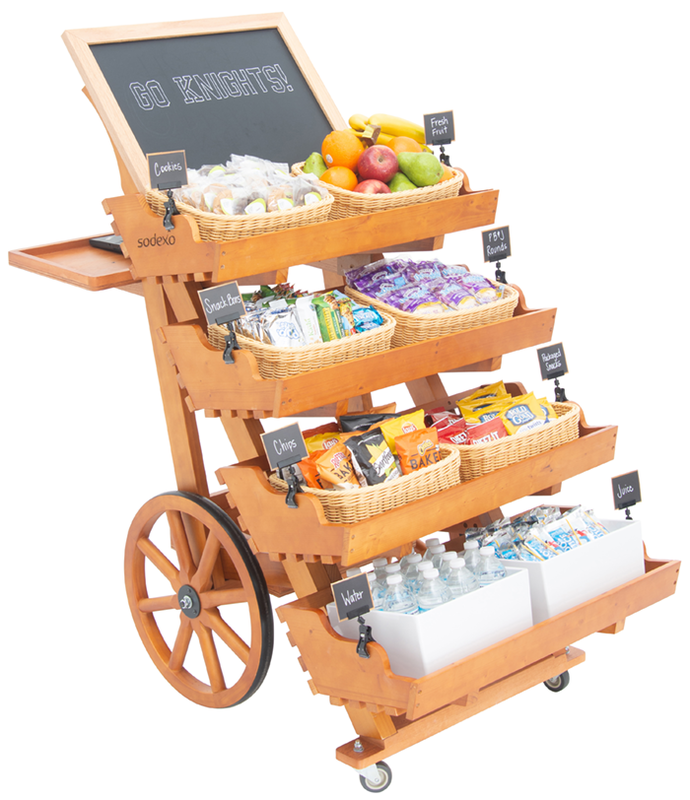 Serve off program or reimbursable meals, concessions, after school snacks and more with the BLT Cart. 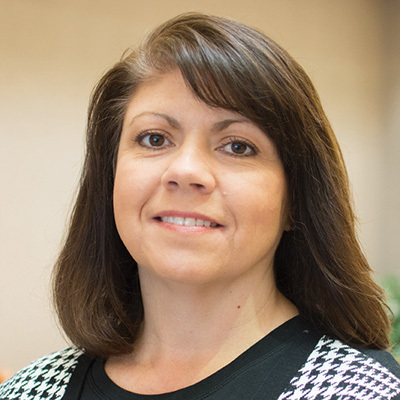 The mobile delivery method prompts customers to make quick purchase decisions, which boosts comp growth. 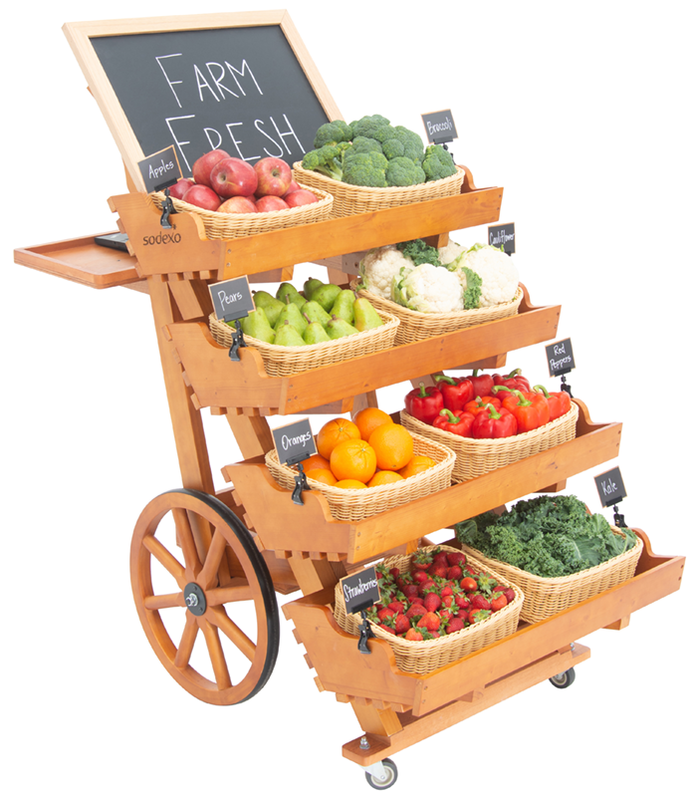 Go beyond the basics by incorporating visual merchandising throughout your BLT cart. Visual merchandising not only enhances your cart's appearance, it suggests quality to your students, keeping them coming back for more! 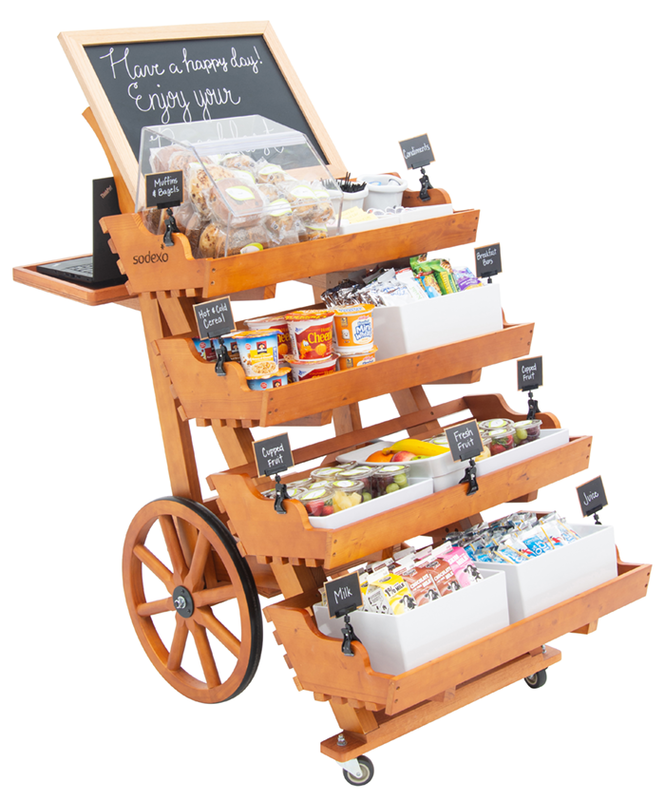 Use a variety of stylish display pans, covered food bins and washable wicker baskets to group and display packaged meals, snacks, beverages and other merchandise. 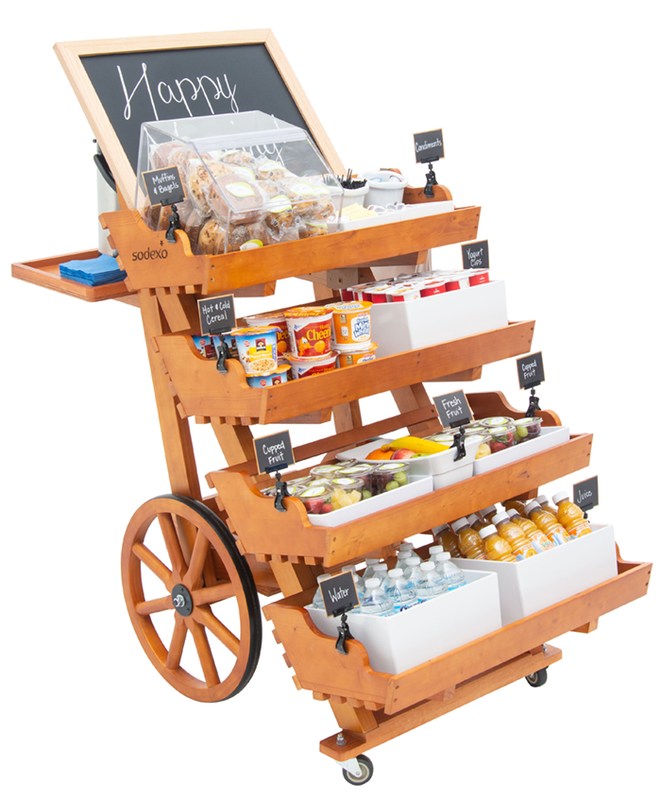 Incorporate signage to not only label your merchandise but to also create fun, interactive messages for students to engage with while shopping the BLT Cart. Customization is key. 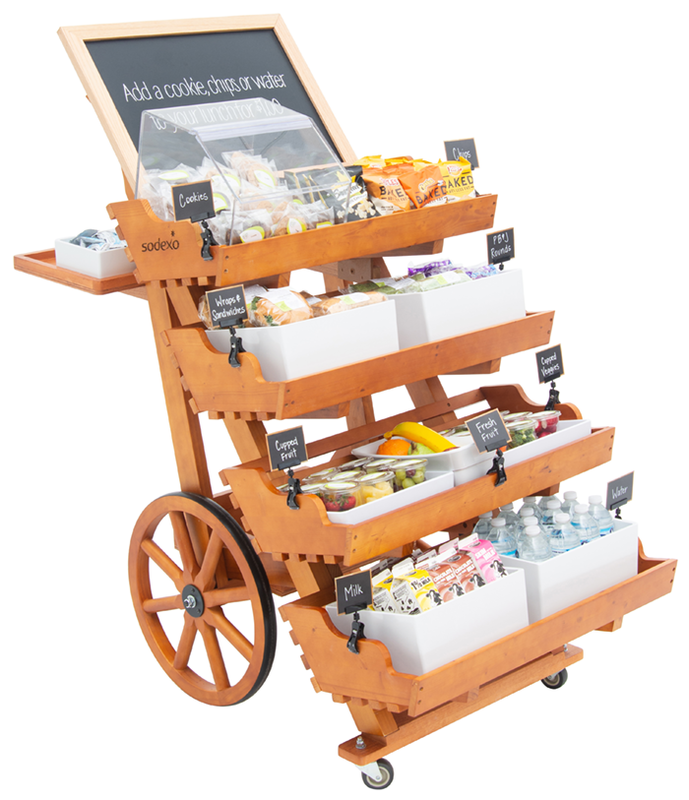 Contact our knowledgable experts to create the perfect BLT cart for your location.